If you had to take a guess which pick-up truck is most commonly seen on the road, you’d probably say the Ford F-150. This is because the F-150 is a truck for those who need reliability for work and function for fun. The F-150 has only improved over the years to become the fan favourite it is today. 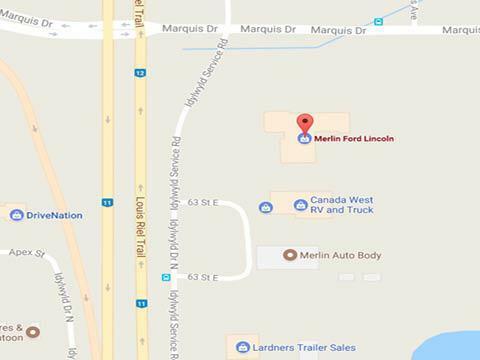 If you’re looking for a Ford F-150 near Prince Albert, visit Merlin Ford today! 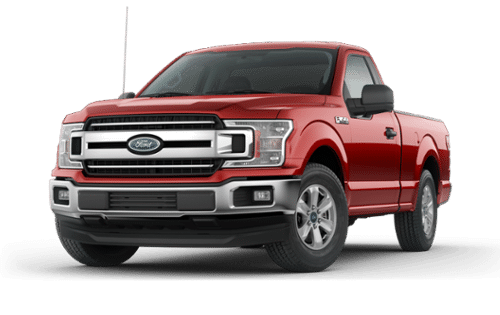 The most recent Ford F-150 to hit the market comes in different trim levels such as the XL, XLT, Lariat, and King Ranch editions. Coming in a range of colours, the F-150 is a mixture of rustic and modern design to create a comfortable ride and stylish exterior. Convenient technologies not only improve the accessibility of your truck, but give you superior safety, as well! Still have questions? Then stop by Merlin Ford and have one of our friendly sales associates take you through our selection of Ford F-150s near Prince Albert. You can find our dealership located at 3750 Idylwyld Drive N. in Saskatoon, SK, or give us a call at 306-931-6611. We’ve got the largest on-site Ford F-150 inventory in Saskatoon. We’re proud to be the only official ROUSH dealership near Prince Albert! Merlin Ford always strives to give our guests the best selection we can near Prince Albert, and that includes previously owned models of some of our most popular vehicles. Buying pre-owned isn’t a hassle with our dealership, as we thoroughly inspect our vehicles before they hit our sales lot. This isn’t something you’re guaranteed when buying online or directly from the owner. The latest F-150 to hit the market comes with technological features which enhance your driving experience. These upgrades include the available 360-degree camera and Sync Connect which gives you a better look at the road. FordPass can help you find your vehicle in a busy parking lot and enables you to lock and unlock your truck from your smartphone. The latest F-150 has been labelled best in class thanks in part to its towing capability of up to 5,987 kg (13,200 lbs). With the 5.0L V8 engine, the F-150 generates 395 horsepower along with 400 lb-ft of torque. Features such as AdvanceTrac with Roll Stability Control helps you to tow safely and comes standard in new F-150 models. Want a truck that can do it all? Choose the Ford F-150. HAVE QUESTIONS? LET OUR TEAM HELP! When you choose to work with the team at Merlin Ford, you’ll be looked after by our fantastic associates the moment you step onto our sales lot. Sales associates will assist you with your purchase by giving you a tour of our inventory and answering your questions along the way. Our financial department can help set up a payment plan that works on your budget while our service team can keep your truck running ‘like new’.